Funding design means to consider an outline of the structure of fund procurement in accordance with the basic design of a project. Funds needed to achieve a project refer to all funds necessary for construction and improvement of facilities (the sum of originally estimated cost and unexpected extra costs). If a project is defined as an individual entity with one life cycle, from initiation through operation, then repayment of loans, payment of all necessary costs and expenses, should be covered by generation of profits from cash flow of the project itself. In some cases however, unexpected demand for funds such as shortage of operation funds may occur that are needed to continuously perform a project, and this should be taken into consideration. framework for injection of funds into a project is determined on the inter-relationship of these two funds. (Note) The vertical axis of the above figure is the theoretical gross amount of funds necessary for a project. It is possible to procure 100 percent of the funds necessary for implementing a project from equity, but is impossible to procure them from debts. In projects, funds are procured in an optimum combination of equity and debts. In the above figure, the more Line A moves to the right, the higher leverage of equity and the more risk on debts. When Line A moves to the left, the risk on debts will be lessened. Therefore, equity orients itself to Line A that is set on the right of the figure. On the contrary, debts orient themselves to Line A that is set on the left. They are in the relationship of conflict. In any project, a balance between them is maintained at any point. In project finance, the balance will be kept on the right to the extent possible to aim for enhancement of the leverage of equity, efficiency improvement of equity, non-retroactivity (promotion of off-balance) of debt repayment (for investors). 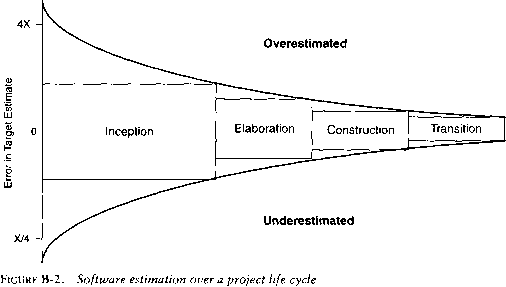 The dotted line of the above figure shows a typical point of balance in project finance. The example of the above figure shows contribution of funds until completion of facilities. When the project enters into a phase where cash flow is generated, an idea that such cash flow is additionally injected becomes possible. There are many options in the market concerning types and pattern of funds applied to projects and entities that provide funds. Funds for projects are procured by combining such options.